“This fall I’m going to take my talents to South Beach and join the Miami Heat”. When Lebron James uttered these words in front of a surprised nation, a new villain had been spawned. “The Big Three” of Lebron James, Dwayne Wade, and Chris Bosh became the new villains of basketball. Much like the movie Star Wars, this evil empire is led by three NBA juggernauts who for the past three years have bullied the NBA’s best. In those three years the Heat have won two championships and have been in the finals every single year. Now the question is can anyone take down the empire? While it remains to be seen if Chris Bosh will return, there is no question that the Heat will be the favorites to three peat. The thing is that there aren’t many eminent threats to this evil empire’s reign. The Pacers and Bulls represent the biggest threats with their deep pools of talent. However, the Bulls will need Derrick Rose back and healthy if they want to beat Miami. If healthy I think that the Bulls could be the team that is the biggest threat in the East. That is if they can stay healthy. What about the Pacers? While the Pacers have a talented roster and a physical style of play that can exploit the Heats, I think Miami will do two things to prevent this. First I think they will not underestimate the Pacers again, and second I think that the Heat will add a physical big to help counter the physical in the paint style of the Pacers. The only other team that could compete with the Heat would be if the Celtics can reload their roster with young talent while removing the original big three of Garnett and Pierce. What about the West? While Kevin Durant’s Thunder pose the biggest threat it was apparent this postseason that he still needs help around him. The LA teams? The Lakers and Clippers are both messes right now, with the only exception being that the Clippers are a glorified highlight reel. The Spurs? Unfortunately I think this was the last hoorah for Parker and Duncan as father time becomes their biggest challenger. While there may not be an immediate end to the Heat’s reign, the one thing that all other NBA fans have is hope. 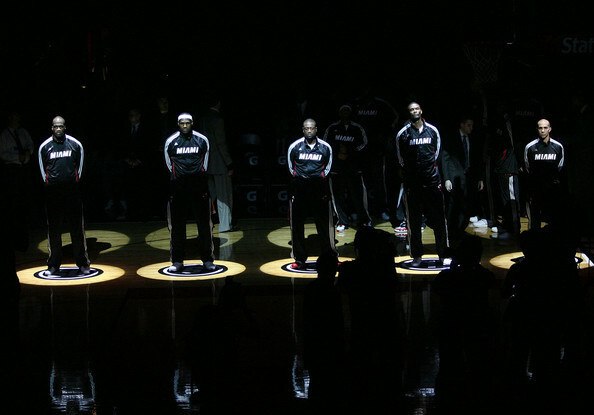 They hope that their team, or some other team will rise from the NBA depths and overthrow the Heat’s empire for good.